Did you know that the Kamen Rider franchise is almost half a century old? 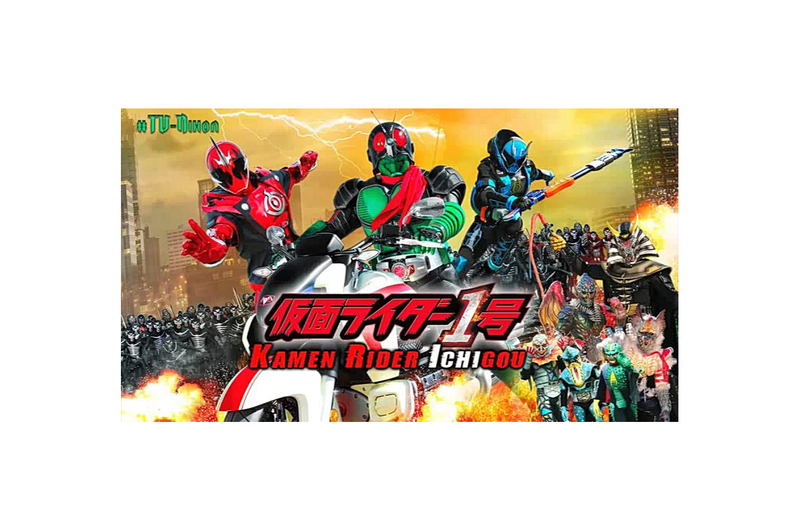 It all started in 1971 with the original Kamen Rider, Takeshi Hongo – a cyborg superhero that would grow so popular he’d become an icon to generations of fans, and spawn numerous Kamen Rider shows since the first series ended in 1973. Takeshi Hongo’s legendary status as the granddaddy of all Kamen Riders is the reason we have Kamen Rider 1, a movie where he teams up with Kamen Rider Ghost, one of the more recent incarnations of the masked crimefighter. It’s an epic teamup befitting one of the greatest fictional heroes and long-running series of our time. Of course, for every awesome thing that happens, you can expect something bad to rear its ugly head. Yes, we’re talking about piracy here – specifically the piracy of the Kamen Rider 1 film, which will be the topic of today’s article. If you’re considering buying a DVD from what looks more like a rickety shack than a proper store, you’d better think twice. 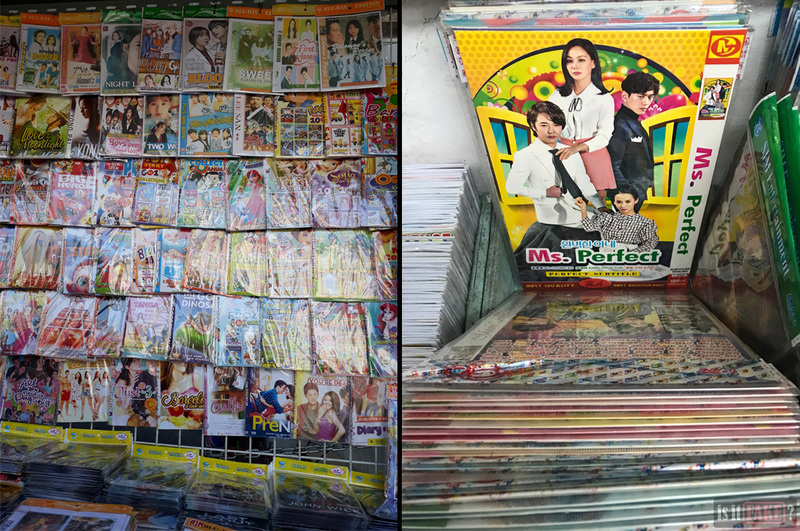 Such stalls, found in dingy marketplaces, tiny malls, or even by the roadside, entice you with colorful displays of pirated DVDs covering their walls. Others have taken to hiding their bootlegs in boxes to avoid the wrath of the authorities. So who’s responsible for these fake products? We’ve already encountered the manufacturer of this pirated Kamen Rider 1 DVD before. 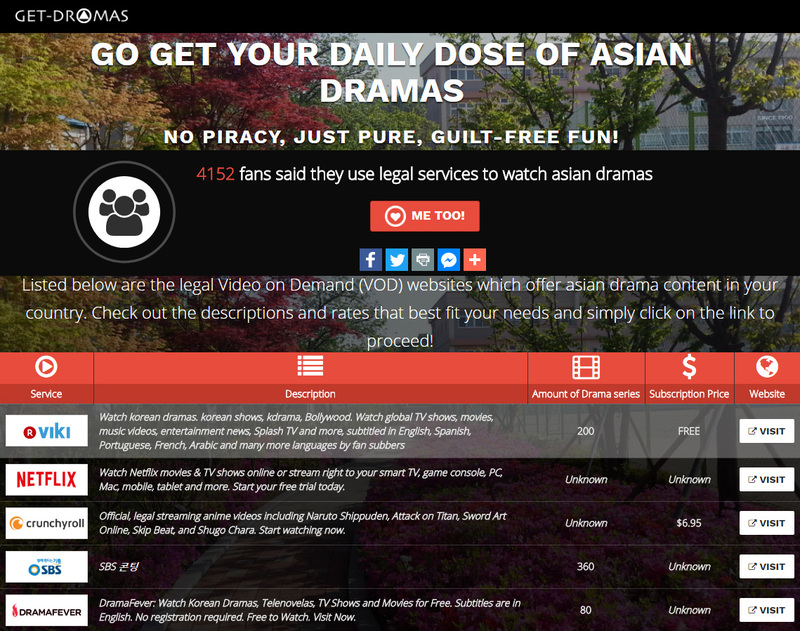 Going by the name of Kuro Neko, they’re a Philippine piracy group invested in the illegal reproduction and distribution of films and TV shows in DVD format. Police have already raided a number of shops selling Kuro Neko’s DVDs. As for the group’s Facebook page, it’s been taken over by the authorities. But there are many other piracy groups. The best way to avoid their bootlegs is to stay away from the stalls described above. Stick to popular shops in big, respected malls, and avoid DVD products such as the one we’ll be discussing below. 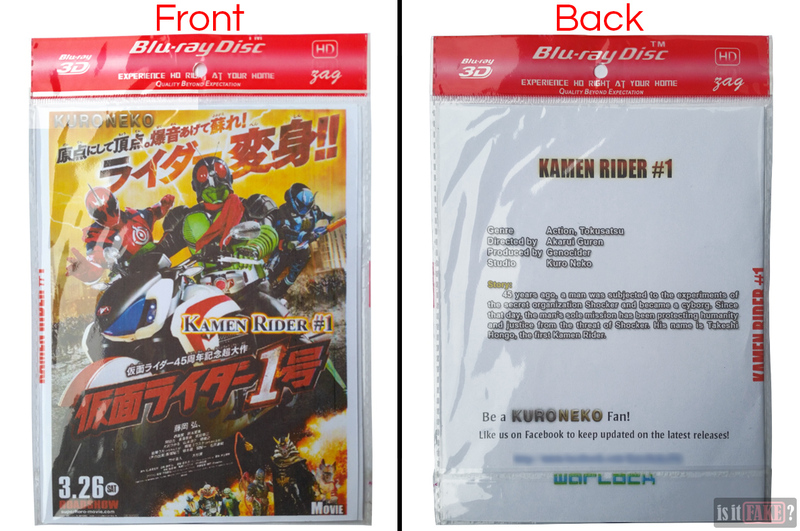 The fake Kamen Rider 1 DVD’s packaging is pretty standard as far as pirated DVDs go: a piece of paper folded in half stuffed inside the kind of clear plastic DVD/Blu-ray sleeve that you can buy for cheap in any shop. The plastic sleeve says “Blu-ray,” which can lead to some confusion over what type of product it contains. 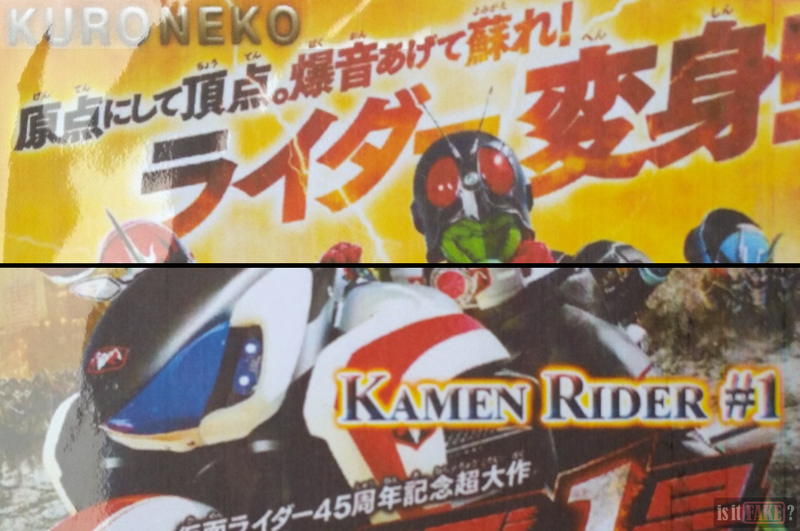 On the paper is printed official Kamen Rider 1 art. The picture suffers from inferior print quality, however, so the colors are slightly off – not to mention the extensive blurring obscures some of the finer details. This image differs from the official poster in three other ways: it comes with the “Kuro Neko” name and logo at the top left, the “Kamen Rider #1” title in the middle, and the word “movie” at the bottom right. These could have easily been Photoshopped onto the artwork by an amateur graphic artist. 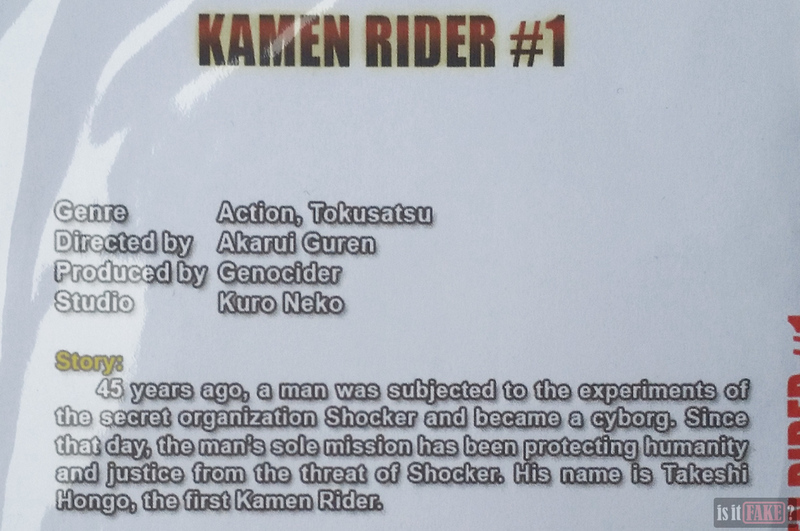 On the back is the movie synopsis, which was taken from Kamen Rider 1’s IMDb page. As you can see from the IMDb page, the fake’s synopsis isn’t complete, failing to mention the original Kamen Rider (Takeshi Hongo) meets Kamen Rider Ghost in the story. Most of the information above the synopsis is wrong. Kamen Rider 1 was not directed by not Akarui Guren, but by veteran director of Kamen Rider films and TV series, Osamu Kaneda. The movie was produced by Shinichirô Shirakura. We don’t know who Genocider is, but it sounds like the name a teenage edgelord would give themselves. 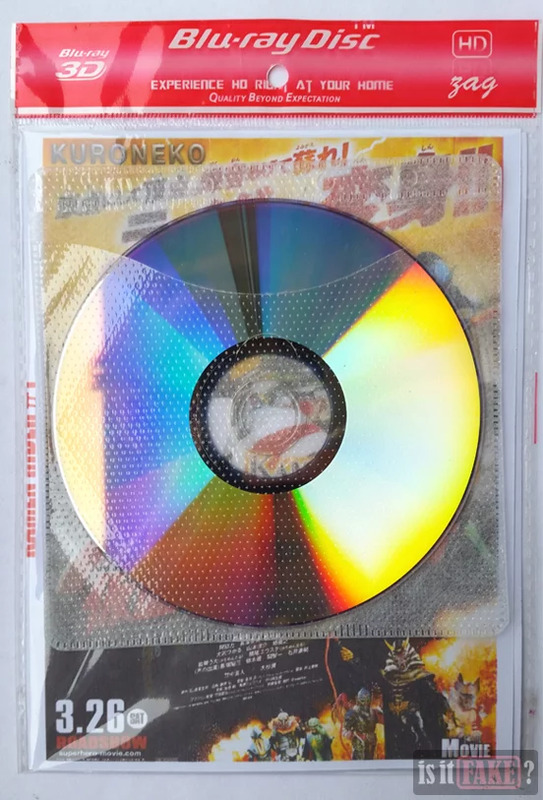 As for the studios that produced the Kamen Rider 1 movie, those would be Ishimori Productions and Toei, not Kuro Neko – although Kuro Neko isn’t lying when they claim to be the producers of this specific pirated DVD. Below the synopsis is a link to Kuro Neko’s Facebook page – which, as we mentioned earlier, is no longer under Kuro Neko’s control. Further below we see “Warlock,” the name of an individual we often see associated with Kuro Neko. 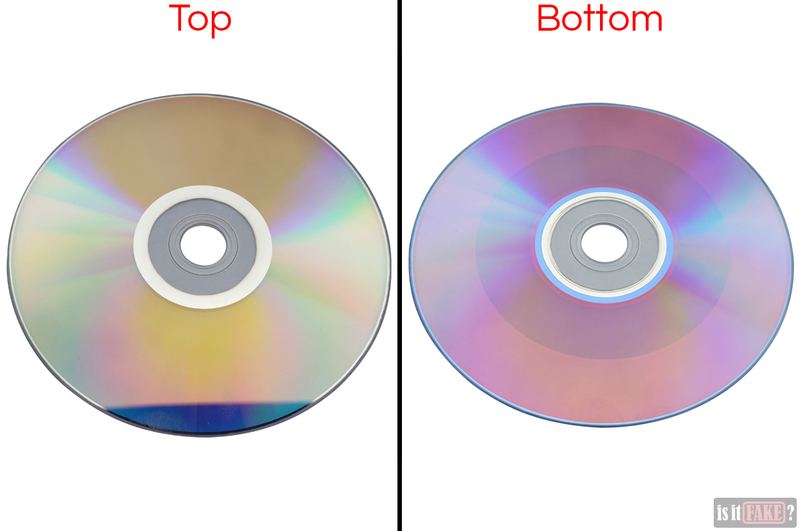 The DVD disc itself is bereft of any eye-catching artwork you would expect on a legit product. The video opens with an unskippable introductory sequence introducing Kuro Neko. It gives us some sample footage of the other shows they’ve shamelessly pirated, and then ends with “by Warlock” – a clear admission that this individual is indeed the one responsible for this amateurish clip, and perhaps even the burning of this pirated DVD. 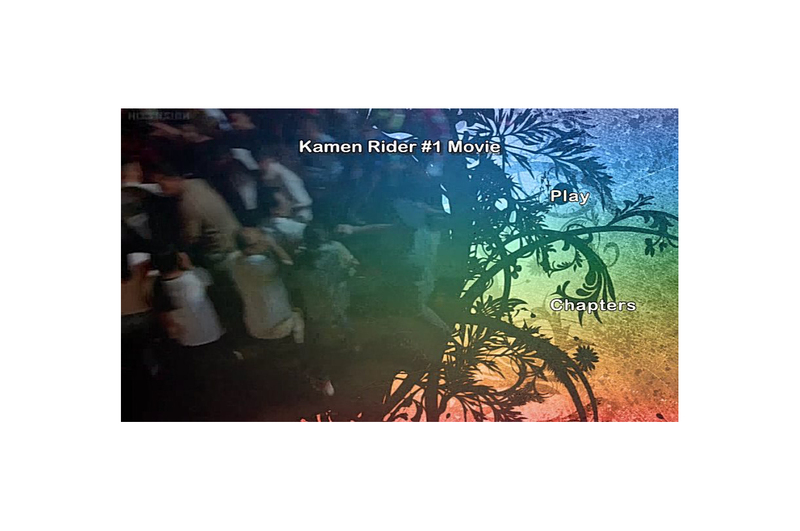 The pirated Kamen Rider 1 DVD features a main menu and chapter selection menu. Boasting no artistry whatsoever, both of them look very amateurishly done. 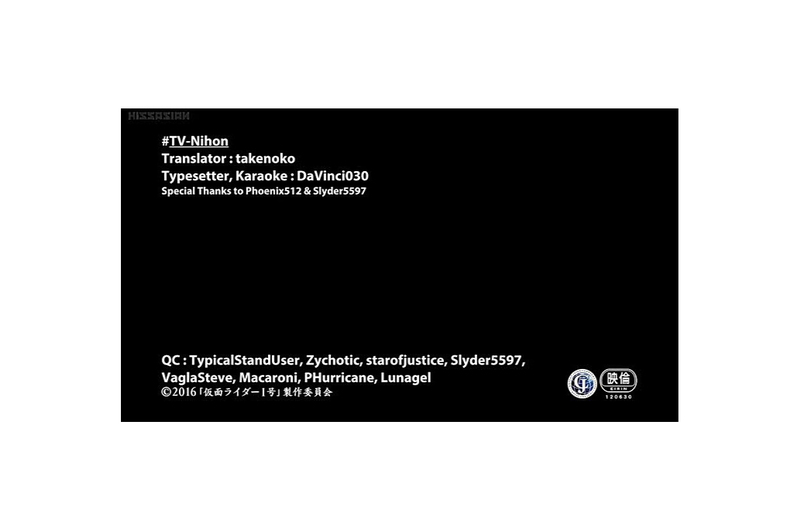 #TV-Nihon is the fansub group that provides unofficial subtitles for films and TV series. One of their own – a certain “takenoko” – specifically supplied the translations for Kamen Rider 1. #TV-Nihon then uploaded the subtitled movie onto KissAsian, an illegal video service. 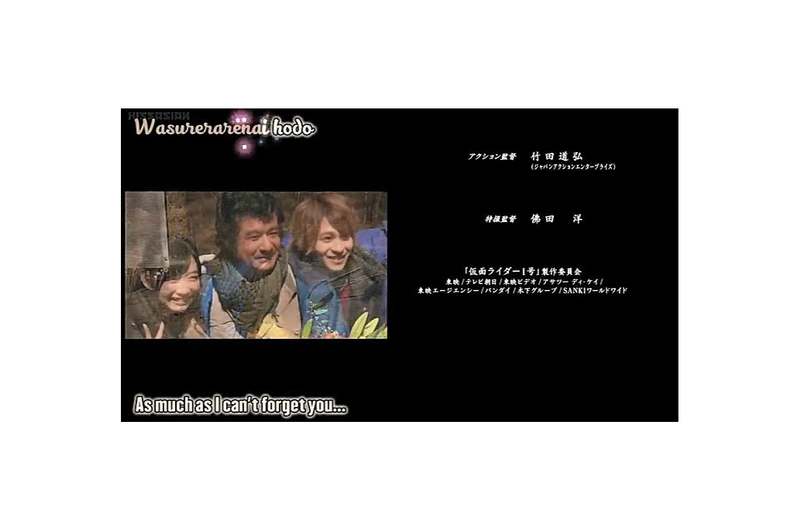 In short, this pirated Kamen Rider 1 DVD is a rip of the movie #TV-Nihon uploaded onto KissAsian. And as you can expect from a bootleg, the quality of the picture is atrocious. It’ll be a challenge trying to enjoy the action and special effects with all the pixelation. Good news: a range of options are available if you want to watch Kamen Rider 1 legally. The cheapest way costs almost as much as buying the pirated DVD, with the added bonus of the video quality being much better. 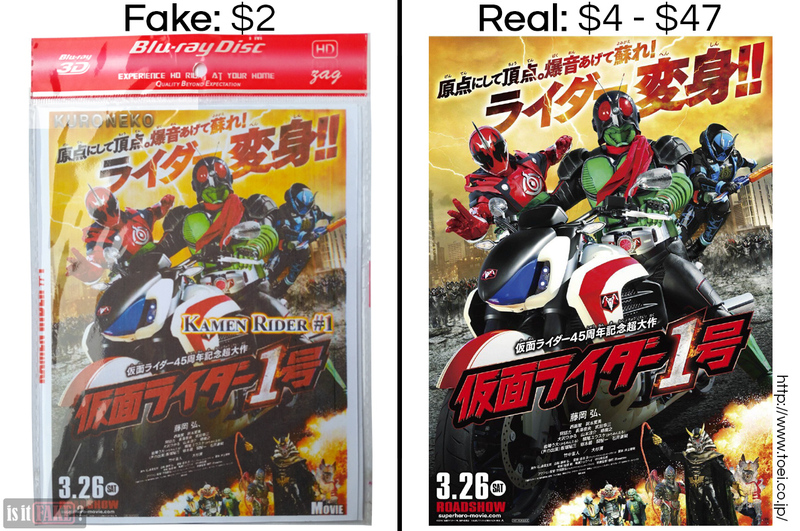 What’s the least expensive way to view Kamen Rider 1 legally? Head on to Amazon Prime Japan and rent it digitally for just $4. Make sure you have a translator app, such as Google Translate, to convert all that Japanese to a language you can understand. 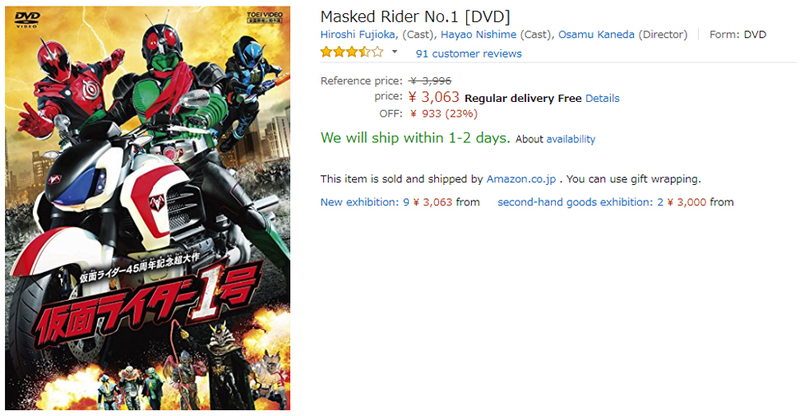 If you want to own a digital copy of the movie, you can purchase it for $23, also on Amazon Japan Prime. 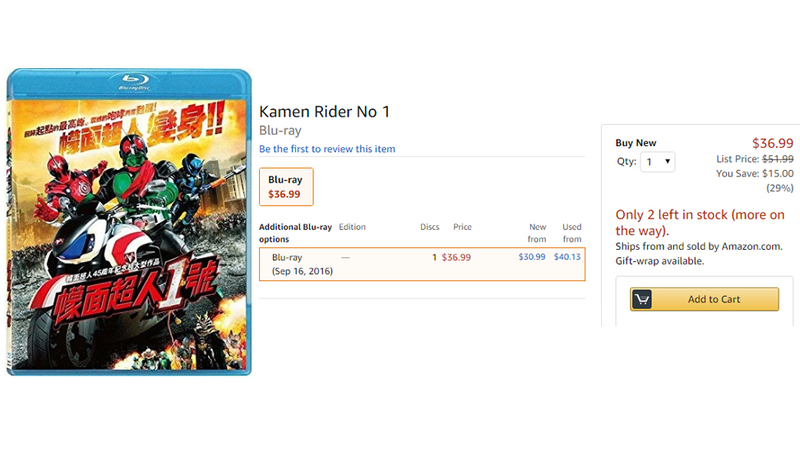 If you want to own the actual Kamen Rider 1 DVD or Blu-ray product, you can buy them on Amazon Japan. Just click here for the $29 DVD, and here for the $37 DVD + Blu-ray combo. 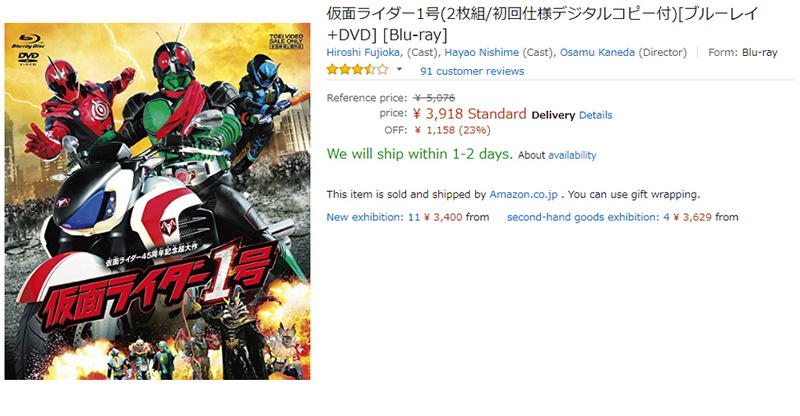 The Kamen Rider 1 Blu-ray is also available on Amazon for $37. In all three cases, make sure you select Amazon/Amazon Japan itself to purchase from, and not any of the third-party sellers. 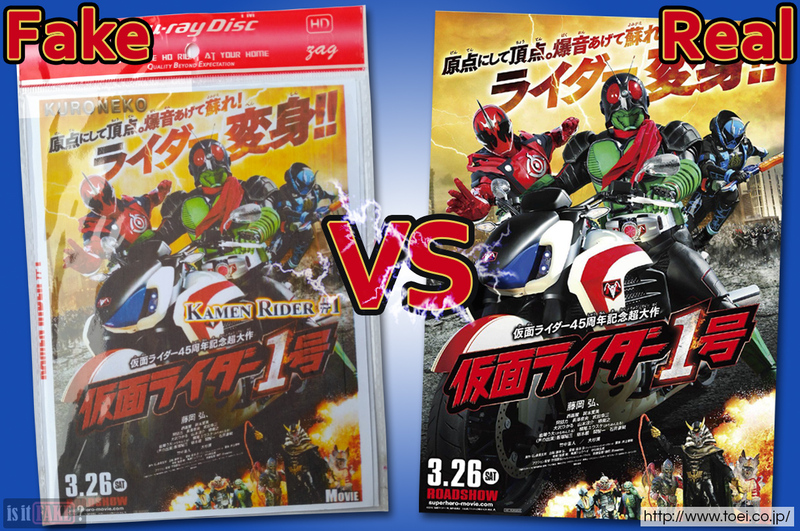 The Kamen Rider 1 DVD and Blu-ray can also be found on Toei’s online video shop. 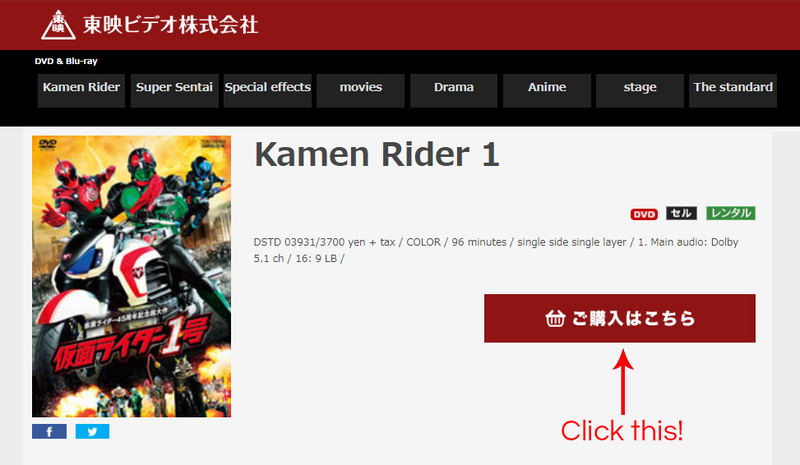 Click here for information on the Kamen Rider 1 DVD, then click on the red button to be taken to a page where you can buy the product for $37. 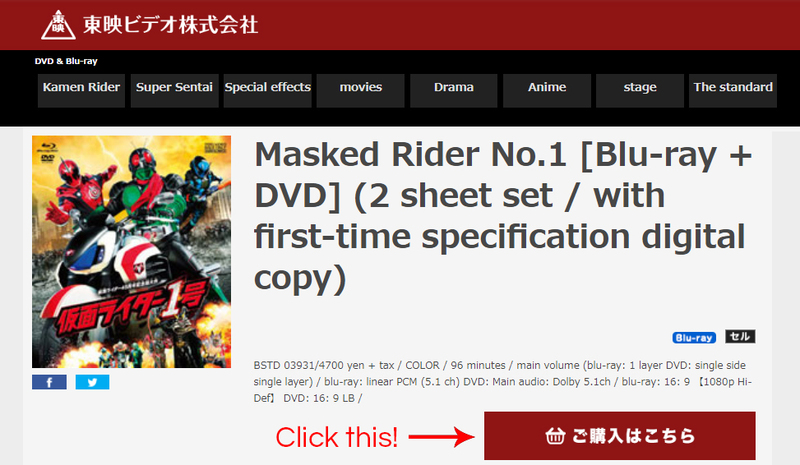 Similarly, go to this page for information on the DVD + Blu-ray combo, then click on the button to visit the product page. The combo costs $47. 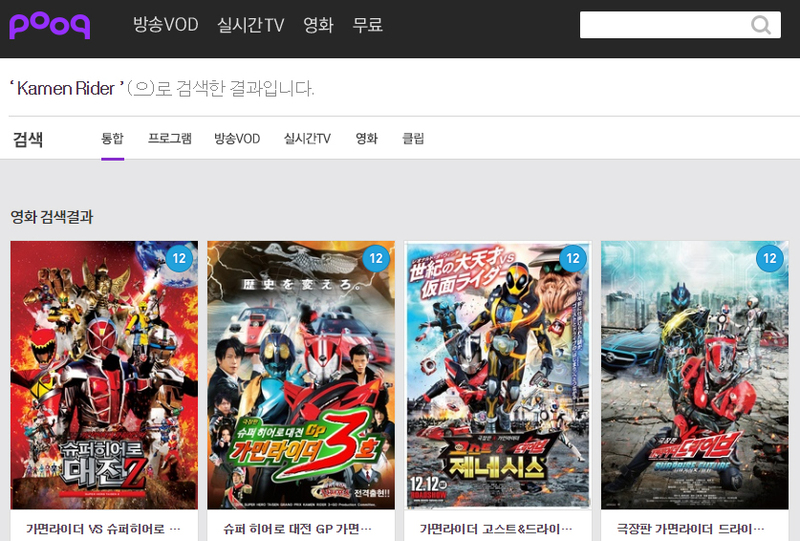 If you want to watch other Kamen Rider movies, visit Korean video on demand (VOD) service, Pooq. While you can watch these films for free, paying for a subscription has its benefits. Kamen Rider 1 should be a celebration of the iconic Takeshi Hongo and the enduring series that his popularity spawned. But instead, with its laughable packaging and hideous video quality, this pirated DVD is nothing more than a stain on the character’s rich legacy. We’re giving it a score of 70% terrible.